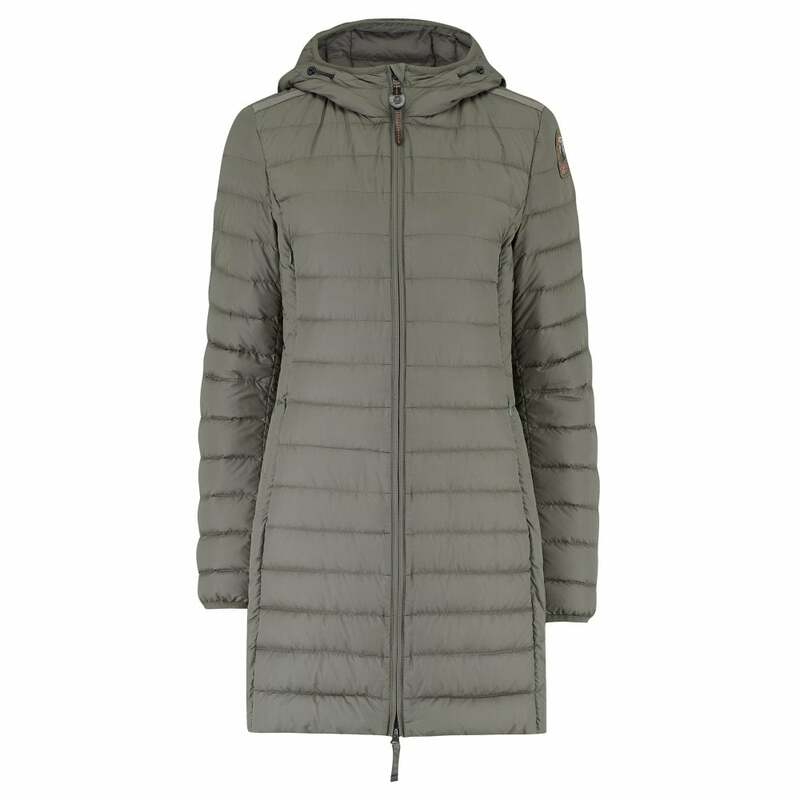 Parajumpers Irene Jacket in Military Green: A best-selling style from Parajumpers super lightweight collection. The Irene jacket is quilted with a lightweight down/feather fill, a 2 way zip front fastening, 2 side zip pockets and the classic PJS logo on the left sleeve. A pefect weight for trans season dressing in style.